Some folks do a ton of cooking the days leading up to and including Thanksgiving. Me, I tossed a precooked ham in the oven to warm up and made a traditional green bean casserole – they were my assignments for our block’s Thanksgiving celebration and I followed them to a T.
The day after Thanksgiving I made eight (!) 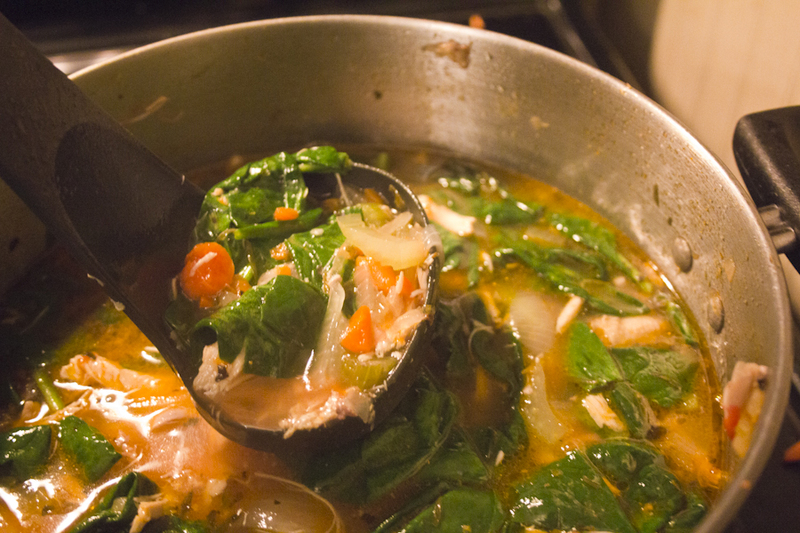 soups/stews!! School and work have left me struggling to eat healthy. I know this pattern – I start every semester with my water bottle and packed, healthy lunches and I end it guzzling Dr. Pepper and subsisting on fast food and pizza. I had maintained my weight until the last two weeks and now I have gained 4 lbs. Two more weeks of school and then one more week of work and then I’m off for two weeks. I’m trying to get back on track before the end of the year. To that end I decided to use Thanksgiving leftovers as a base and pulled out a bunch of stuff that has been languishing in my fridge and freezer. A quick trip to the grocery store too fill in some holes and 10 hours later I have a freezer full of ready to eat food. Ok – it was 10 hours – but a lot of that time was spent watching Chuck marathon with the hubby. Cream of Broccoli – I had two huge bags of broccoli sitting in my fridge so I roasted one to use a side and the other I turned into a gorgeous cream of broccoli soup – dairy-free of course I used coconut milk. Saturday I watched a lot of college football (the Auburn-Alabama game was amazing!!!) and did a little bit more cooking. Yes, I had some cranberries to use up. 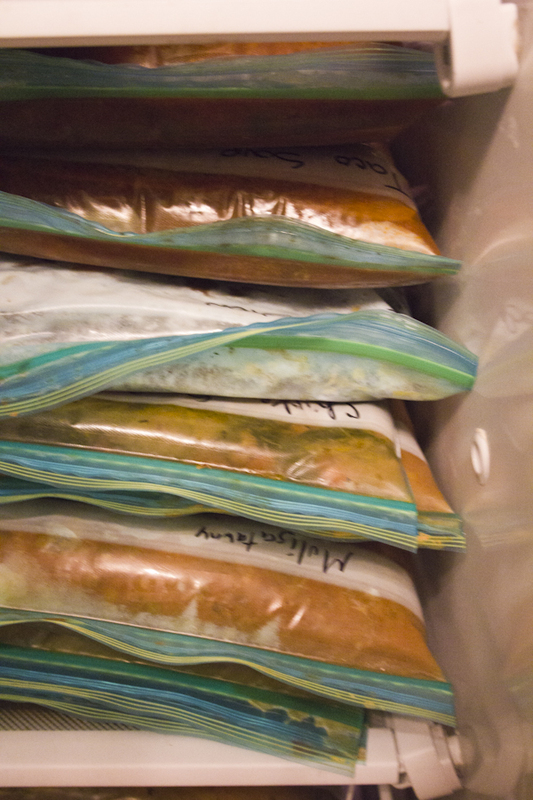 The pork and chicken stew went into the freezer and the other things are for dinners the next few days. Today I cooked off some spicy lamb patties to finish off my cooking for the week. BAM!